Life is full of risk. More often than not, we are forced to face our fears unwillingly, like the dark fears of pain, illness, and death. But sometimes we get to leap out of our comfort zone and choose to try new things, learning more about ourselves, and becoming stronger as a result. There are many ways to be brave! E. Katherine Kottaras wants to know how you are brave! Share your own act of courage, whether it be physical, expressive, or interpersonal. Use the hashtag #howtobebbrave along with your own act of courage on your social media platforms (Twitter, Tumblr, Facebook, Instagram etc). If you feel comfortable doing so, perhaps you might want to tag a friend, maybe someone who makes you feel brave to thank them for their support. We'd like to thank E. Katherine Kottaras for sharing her brave moments! 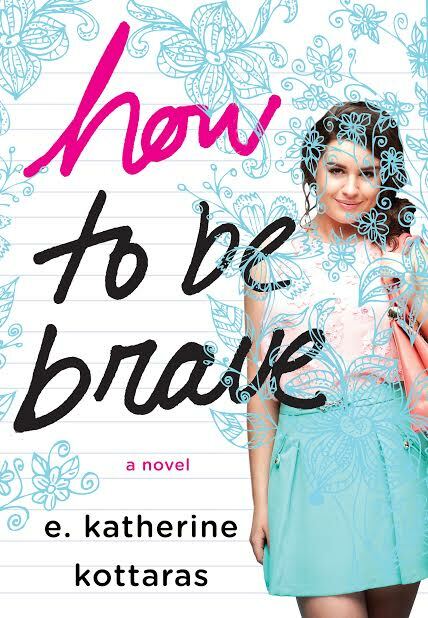 And here is another BIG thanks for the following giveaway of How to Be Brave! About: Georgia has always lived life on the sidelines: uncomfortable with her weight, awkward, never been kissed, terrified of failing. Then her mom dies and her world is turned upside down. But instead of getting lost in her pain, she decides to enjoy life while she still can by truly living for the first time. She makes a list of ways to be brave-­all the things she's always wanted to do but has been too afraid to try: learn to draw, try out for cheerleading, cut class, ask him out, kiss him, see what happens from there. But she's about to discover that life doesn't always go according to plan. Sometimes friendships fall apart and love breaks your heart. But in the process, you realize you're stronger than you ever imagined…. This fearless, big-­hearted, deeply moving book will make you laugh, cry, and inspire you to be brave. One winners will receive a copy of How to Be Brave. US and Canadian addresses only. Entering is simple, just fill out the entry form below. 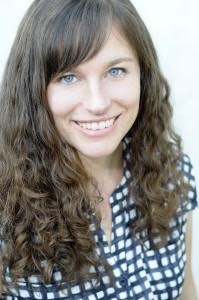 E. Katherine Kottaras is at her happiest when she is either 1) at the playground with her husband and daughter and their wonderful community of friends, 2) breathing deeply in a full handstand, or 3) writing. She now lives in Los Angeles where she's hard at work on her next book.